The long and torturous chase for the NFC South crown is finally over. The Carolina Panthers most likely ended the Mike Smith era on Sunday during a decisive 34-3 win over the Atlanta Falcons at the Georgia Dome. Smith, whose Falcons appeared to have gained some slight semblance of order within the NFC South, squandered a tremendous opportunity to get his team back to the playoffs. Now, he may be on the chopping block. 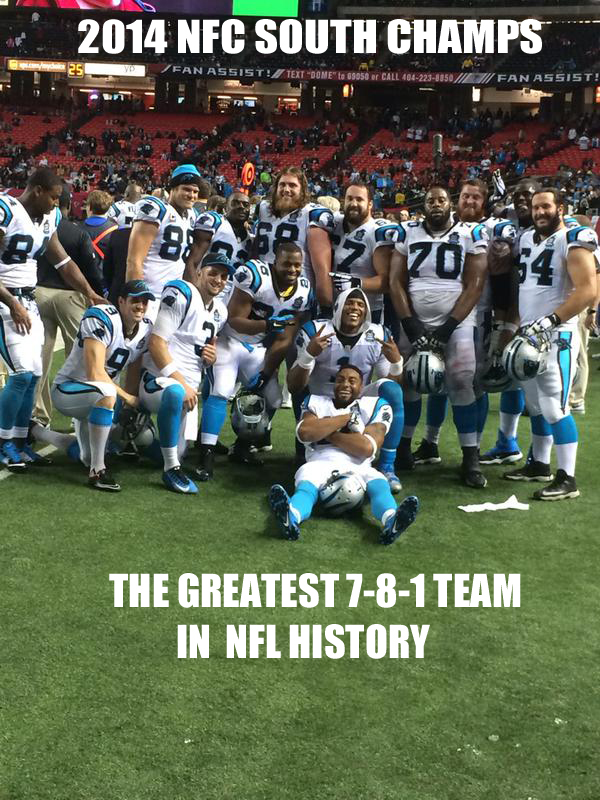 As for the victorious Panthers, they’ll be in action at home next Saturday against the Arizona Cardinals. And believe it or not, they have a chance to win a playoff game. Who would you rather have running your team in a playoff game? Ryan Lindley or Cam Newton?